On Nov. 8, 2018, it seemed like a regular morning. The small town of Paradise, California had no idea what devastation was to come. Paradise previously housed 26,000 residents, but by the end of the fire all 10,360 residences were gone. But the damage did not stop there. Additionally, 150,000 acres of land were lost in the fire. The fire was named the Camp Fire after the road the fire started on, Camp Creek Road. 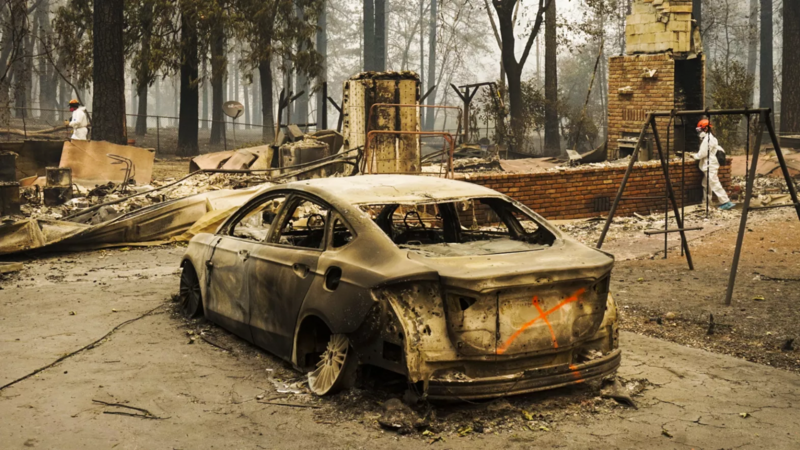 Residents of Paradise knew generally that this type of fire and the catastrophic damage could possibly occur before the Camp Fire broke out. Brook Jenkins, a mother and former resident of Paradise, states, “We prepared for it, but never thought it was going to happen” (Vox). The trees in the town were already dried out because of a six year drought, and many of them were even dead because of a beetle infestation which ate away at the trees. So the question was not if the fire was going to happen, but when. Not only were the people who lived in Paradise affected by the fire, but many residents of surrounding towns were too. A total of 52,000 residents had to evacuate the area, including all 26,000 residents of Paradise. People from neighboring towns saw the fire happening in Paradise, but did not think much of it at first. One man, Brandon Hill, a resident from Concow, stated, “It looked like it was way off in the canyon, like what’s happened 100 times before” (Sacbee.com). Since it started as a small fire, Hill did not think anything of it as he had seen fires like it many times before. But what seemed to only be a small fire was the beginning of California’s most devastating fire on record. As searches through the town preceded it was totaled that “the number of people missing stood at 296 on Sunday, according to the sheriff’s office” (Latimes.com). One search leader states, “We’re going trailer by trailer, piece by piece, turning it over for anything that looks human” (Latimes.com). Sadly, there were at least 85 people killed in the Camp Fire. On the bright side, according to officials Camp Fire is now 100% contained, two weeks after the fire struck Paradise and the neighboring towns. But, there is a lot of work to be done to take care of all the damage that occurred, and it is going to be a long process.